Nitrofreeze was asked to remove flash from silicone distal handles that are designed for use with handheld instruments. In medical and dental applications, the term distal means away from the center of the body, such as the handle on a medical device or dental tool. Silicone is a good choice for these gripping handles because this material is biocompatible and supports repeated sterilization. Customer volumes for the part were 3,000 to 4,000 parts per release. To meet this application’s requirements, Nitrofreeze needed to remove excess material that had escaped through the parting line. Silicone flashing is typical, but part defects that can affect performance must be removed. Buffing and trimming had been used successfully by the customer but were becoming too labor intensive, costing upwards of 20 seconds per piece. 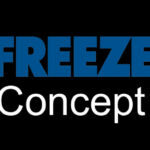 Nitrofreeze was able to use cryogenically deflash the handles in batches of over a hundred pieces. First, the silicone distal handles were cooled to cryogenic temperature so that the flash became brittle and easy-to-break. The silicone parts were then tumbled and blasted with a non-abrasive, polycarbonate media. This removed the flash from the handles without affecting part geometry or surface finish. The cryogenic deflashing process parameters developed were documented and continue to see use for processing these parts. This allows for repeatability and consistency in the deflashing of the handles. A significant reduction in flash was evident following procession. Prior to processing, flash in some areas stood as tall as +0.036” proud of the part. A later inspection by Quality assurance confirmed that cryogenic deflashing reduced this flash within the customer’s 0.005” flash tolerance. The use of Nitrofreeze Cryogenic Deflashing saved the molder over 6 hours of deflashing labor for every 1,000 pieces versus previous manual methods. The customer continues to employ Nitrofreeze Cryogenic Deflashing to process this and other projects. This entry was posted in cryogenic deflashing, Deflashing and tagged cryogenic deflashing, silicone deflashing on May 22, 2018 by Jordan Anderson.